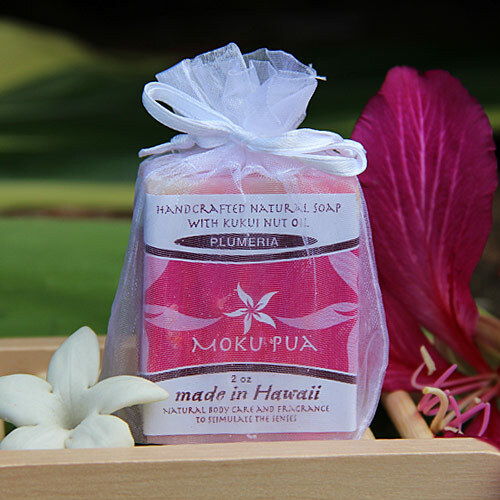 Each of our handcrafted soaps are made from the finest natural ingredients. The luxury oils used in our cold processed soaps have been carefully selected to work in unison with your skin’s natural make up. The result is a gentle cleanser that maintains your skins natural oil balance and leaves your skin highly moisturized. 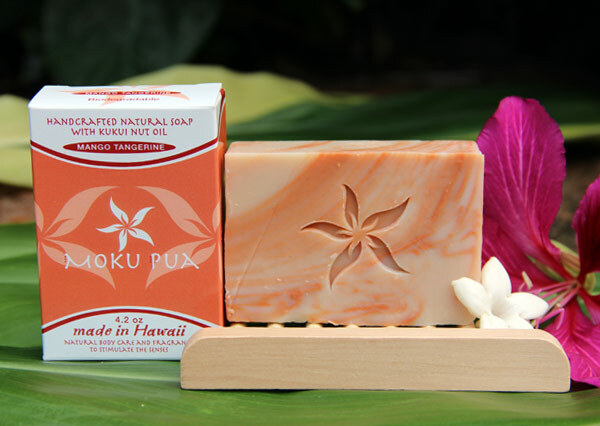 Essential oils and/or fragrance oils are added to impart the wonderful scents of the tropics to each bar. 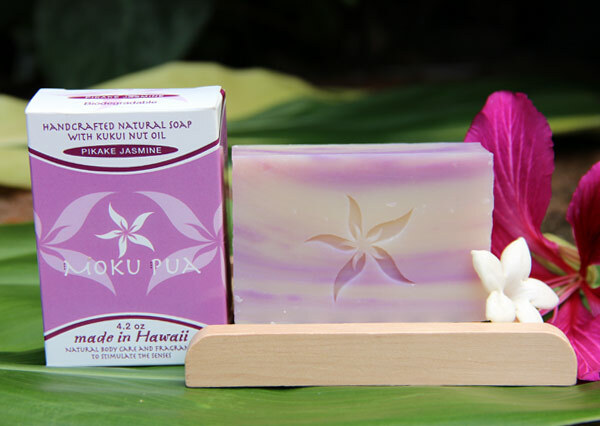 Made in small batches, our soaps are truly handmade making each one unique and special. 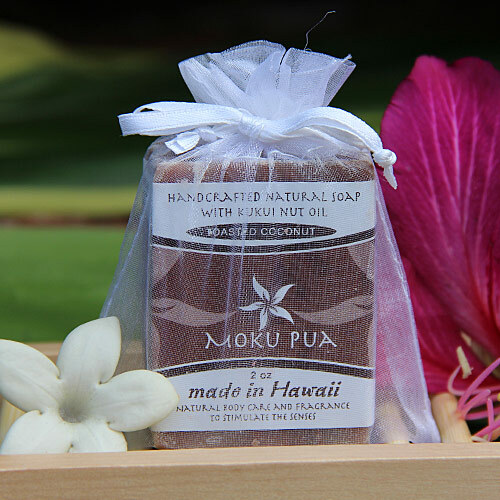 Our soaps are available in the following luxurious scents, as well as Coconut Lemongrass: Papaya-Lilikoi, Plumeria, Purely Natural (unscented), Toasted Coconut, Tuberose, Lavender, Acai Berry, Oatmeal, Milk, and Honey, Activated Charcoal, Lemon Lavender with Loofah, Kona Gold Coffee, Mocha, Passionfruit, and Japanese Cherry Blossom. Saponifed Oils of Coconut, Canola, Palm (sustainable), Castor, Distilled Water, Sodium Hydroxide, Coconut Lemongrass Phthalate Free Fragrance Oil, Sodium Lactate, Kaolin Clay, Natural Mica for Color. Discover the sensory treasure of tantalizing lemongrass enhanced with the tropical pleasures of coconut. This fragrance is a creamy blend of coconut with tangy blend of citrus and fruity pineapple. These scents complement each other and entwine to create an exhilarating experience.